Eliminate your Debt using Debt Snowball method. 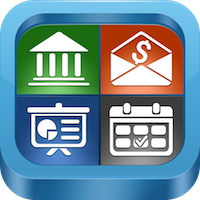 This App helps you to organize,monitor and payoff your Debts using Debt Snowball plan.Debt Snowball method is the most popular effective and efficient method taught and recommended by many financial professionals and wealth experts for debt management. Calculates interest and time savings with extra payment. 2D Pie Chart View of your Income/Expenses by Category and Payee. Enter your Income/Expense Transactions from anywhere in the app by tapping on + button. Create your own expense categories or use existing predefined categories to track the expenses . Export transaction data into CSV/Excel or HTML formats. ❖ Budget Envelopes is a simple and effective tool for your family to stay on budget ! Envelope Budgeting is most popular method for visualizing and maintaining a budget.This app makes your envelope budgeting process easy and effective.The concept is simple,you allocate what you earn and spend what you allocate.The goal of Budget Envelopes App is to give you control of your finances and thus prevent you from overspending and help you stay out of debt. Checkbooks+ is smart and simple to use iPhone App for managing money in your multiple Accounts ( Checking,Savings,Cash,Credit Card ). It has a very simple and easy to use User Interface that anyone who isn’t even good with accounting can use this App without any Problem. Create Multiple Accounts (Checking,Savings,Debit,Cash etc.) with Custom Grouping. Reconcile transactions,View Total Outstanding and Total Cleared Balances. Designed for iPhone, iPod Touch, and iPad devices. 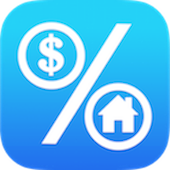 This professional Mortgage Calculator is a powerful, fast and easy-to-use iPhone App perfect for Home Buyers, Home owners, Brokers and Realtors. The Extra Payment Option Feature allows the buyer or the owner to make wise decisions on their monthly payments.You can send email with loan information and amortization schedule with CSV and html attachments. Extra payment option (Simulate additional payment effect on monthly payments and payoff date). Save 30% on 2 best finance apps. Debt Free - Payoff your debt with debt snowball method. 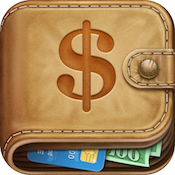 Easy Expense Tracker ~ Accounts, Budget, Expense, Income and Cashflow. Save 20% off on 2 best finance apps. 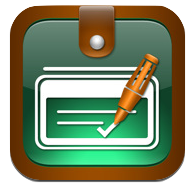 Checkbook Ledger - Reconcile and balance your checkbook register.